This movie is pretty bad. 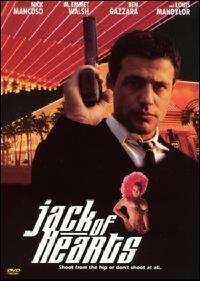 The plot: Some guy has a casino and gold is involved or something...I don't know, the editing and pacing are abysmal. One the director's last movies, Paper Bullets (2000) was a masterpiece compared to this trash. M. Emmet Walsh and Ben Gazzara (They should know better) put in "paycheck" performances at most. The direction, writing, mostly everything about this movie is amateurish. "Shoot from the hip or don't shoot at all"... It's barely an action movie.